Real Madrid has been underperforming lately and with so much been expected from a defending champion they are certainly not meeting up with a lot of fans expectation. They are on the number four spot ion the La Liga table and were made to exit the Copa del Rey competition after been beaten by an aggregate lead by Leganes. ‘We did not play the game, above all in the first half, that we needed to,’ he also added that. 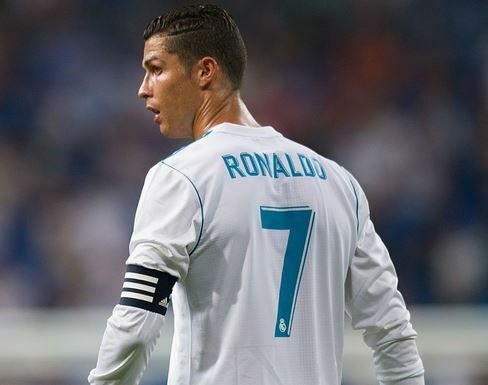 All these are not only getting to the team manager, but Madrid star, Cristiano Ronaldo, a player is also not very happy with the club present form and has listed the players he feels will help change that. The first player on the list is one of the best goal stoppers in England, De Gea. The next is either one of David Alaba or Leonardo to improve the defensive line. The last two players are the talented Paris saint german player, who is laos speculated to show interest in playing for Madrid, Neymar jr or the highest goal scorer in 2017, Harry Kane. And last but not least his fellow countryman who has undoubtedly been impressive at Valencia, Goncalo Guedes, for a better attacking quality. Will Real Madrid be able to sign these players before the transfer window closes, we just have to wait and see. The post Cristiano Ronaldo list Four Players He wants Real Madrid to sign appeared first on ONLINE PLUZ.